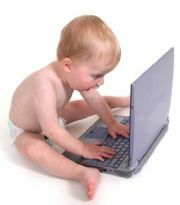 An Israeli couple has reportedly named their baby daughter "Like," after Facebook's Like button. According to Israeli news site Galgalatz , Lior and Vardit Adler wanted a unique name for their daughter. The couple reportedly shopped around names--including some Chinese names--but settled on "Like" because they liked the sound of it. They also thought the name sounded "modern and innovative." Lior says the name is not a gimmick, and the couple was not paid by Facebook to name their daughter after the popular button--which, frankly, kind of makes it worse. Lior himself doesn't even really like (haha) Facebook, and has fewer than 120 Facebook friends. "In our opinion, it's the modern equivalent of the name Ahava (Love)," Lior told Galgalatz, "It's just my way of saying to my fantastic daughter, 'love.'" The couple's other daughters are named "Pie" and "Vash," which is Hebrew for "honey." It could be worse--earlier this year, an Egyptian father named his baby daughter "Facebook," in honor of the social networking site's role in the country's revolution. The baby girl is twenty-something Jamal Ibrahim's firstborn, and her full name is Facebook Jamal Ibrahim. Is it just me, or is Facebook starting to play much too large of a role in our lives? Follow Sarah on Twitter (@geeklil) or on Facebook and Today @ PCWorld on Twitter.